You'll explore the less-touristy side of things at Cable Beach and Malcolm Douglas Crocodile Park and Animal Refuge. Bring the kids along to Nature & Wildlife Tours and Dolphin & Whale Watching. It doesn't end there: make a trip to Gantheaume Point. To see photos, where to stay, traveler tips, and other tourist information, read Broome vacation app . Shanghai, China to Broome is an approximately 21-hour flight. When traveling from Shanghai in July, plan for little chillier days in Broome, with highs around 35°C, while nights are much colder with lows around 17°C. Wrap up your sightseeing on the 4th (Thu) to allow time to travel to Sydney. Kids will appreciate attractions like Bondi Beach and Manly Beach. 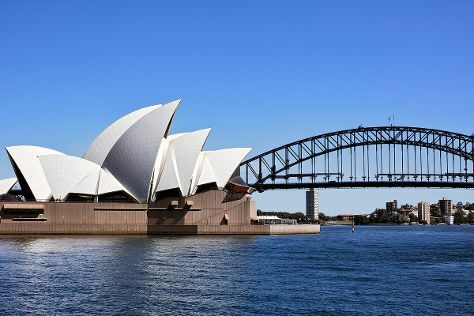 The adventure continues: listen to music at Sydney Opera House, take a stroll through Darling Harbour, snap pictures at Sydney Harbour Bridge, and admire nature's wide array of creatures at Sea Life Sydney Aquarium. For more things to do, ratings, where to stay, and more tourist information, read our Sydney visit planner. Getting from Broome to Sydney by flight takes about 8.5 hours. Other options: drive; or do a combination of bus and train. The time zone difference when traveling from Broome to Sydney is 2 hours. Expect much colder weather when traveling from Broome in July: highs in Sydney hover around 21°C, while lows dip to 9°C. Wrap up your sightseeing on the 7th (Sun) to allow time to travel to Alice Springs. 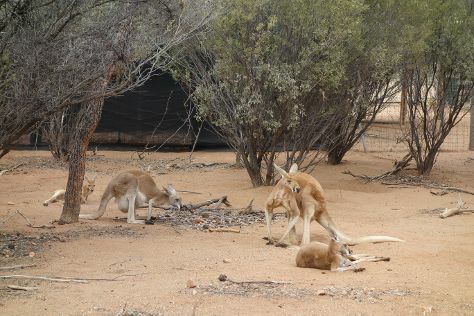 On the 8th (Mon), explore the wealth of natural beauty at Emily Gap, contemplate the long history of Alice Springs Telegraph Station Historical Reserve, and then take in the local highlights with Walking tours. Get ready for a full day of sightseeing on the 9th (Tue): take in the dramatic natural features at The Emily and Jessie Gaps Nature Park, then get great views at Anzac Hill, then look for gifts at Alice Springs School of the Air Visitor Centre, and finally identify plant and animal life at Alice Springs Desert Park. To see more things to do, reviews, where to stay, and tourist information, use the Alice Springs trip builder tool . Traveling by flight from Sydney to Alice Springs takes 5.5 hours. Alternatively, you can drive; or take a bus. Traveling from Sydney in July, Alice Springs is little chillier at night with lows of 3°C. Wrap up your sightseeing on the 9th (Tue) to allow time to travel to Port Douglas. Attractions like Wildlife Habitat Port Douglas and Agincourt Reef make great kid-friendly stops. You'll discover tucked-away gems like Mossman Gorge and Shannonvale Tropical Fruit Winery. Spend the 10th (Wed) among aquatic life with a scuba or snorkeling tour. To see ratings, traveler tips, more things to do, and more tourist information, you can read our Port Douglas trip itinerary maker . You can do a combination of flight and shuttle from Alice Springs to Port Douglas in 5.5 hours. Alternatively, you can drive; or take a bus. When traveling from Alice Springs in July, plan for a bit warmer days in Port Douglas, with highs around 30°C, while nights are much warmer with lows around 20°C. Wrap up your sightseeing on the 12th (Fri) to allow time to drive to Cairns. Explore hidden gems such as Palm Cove Beach and Nature & Wildlife Tours. Bring the kids along to Scuba & Snorkeling and Trinity Beach. There's more to do: admire the natural beauty at Botanical Gardens. To find photos, other places to visit, ratings, and more tourist information, refer to the Cairns vacation planner . You can drive from Port Douglas to Cairns in 1.5 hours. Alternatively, you can take a bus; or take a shuttle. In July, daytime highs in Cairns are 30°C, while nighttime lows are 20°C. On the 16th (Tue), wrap the sightseeing up by early afternoon so you can travel back home.